Vending Group and Fresh Healthy Vending work together to provide healthy vending options nationwide. 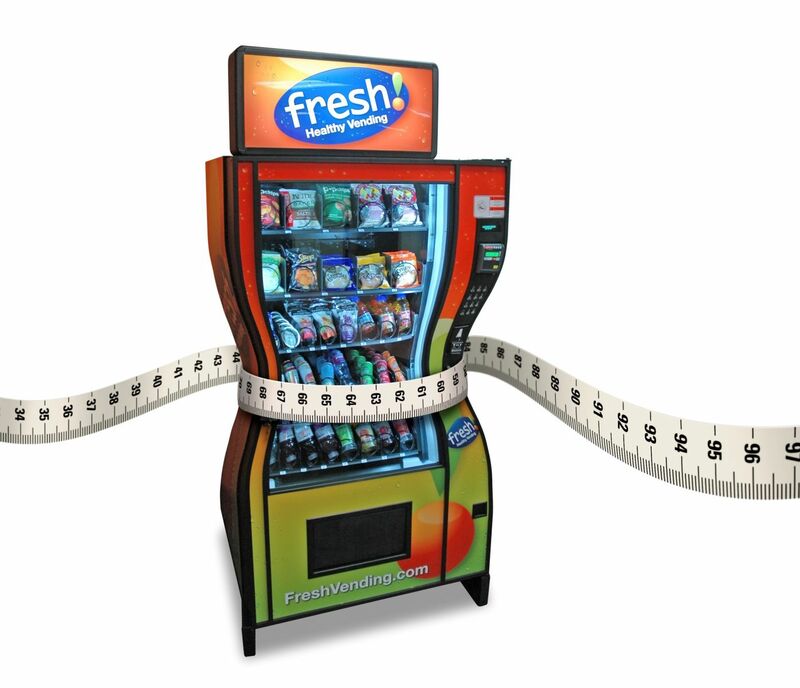 Fresh Healthy Vending is the Nation’s leading “Healthy Vending Machine” program offering a range of perishable products such as 100% Fresh juices, Smoothies, Yogurts and even Fresh Vegetables. In addition we offer more than 6,000 Natural and Organic snacks such as Chips, Crackers and Bars along with a full range of beverages including Teas, Flavored Water, Sports Drinks, Flavored Organic Milks and even Natural Energy Drinks! What kinds of locations do we provide with Fresh Healthy machines? We supply healthy vending machines to Office Buildings, Retailers, Shopping Malls, Health Clubs, YMCAs, Hospitals and any venue seeking a healthy alternative to junk food vending. After discussing type of vending machines needed, pricing and product selection, our Fresh Healthy Vending machines are delivered and installed at your facility, free of charge. Vending Group's Fresh Healthy Vending operators stock the vending machines regularly so that you don't have to worry about purchasing product or filling the machine. Vending Group's customer service team logs your call, dispatches the appropriate technician, and then follows up with you to confirm the work has been done. Sign up for our Fresh Healthy Vending program today!